If someone gets injured during MMA training, it’s normally from wrestling. This could be from just a freak accident or by falling awkwardly (very common) but is also often from not wearing the proper protective gear to mitigate damage. These knee pads come in a complete set/pair, left and right in a unisex design that is available in two sizes. Whilst only having two sizes, both sizes can comfortably accommodate the legs/knees of a wide variety of sizes without being either too loose or too tight. Bodyprox has somehow made these knee pads to be both heavy duty and lightweight. They provide you with an incredible amount of support but without being overly bulky or restricting your movement. Whilst being worn, these pads keep the delicate ligaments and muscles around your knee warm, safe and secure. This prevents all manner of injuries from even occurring as well as putting your knees in the right environment to recover from pre-existing problems. These are another set of heavy duty, collision avoidance type of knee pads. Many knee pads operate by compressing against the knee to keep them warm, keep the blood flowing and to brace themselves snuggly against the knee to prevent twisting. 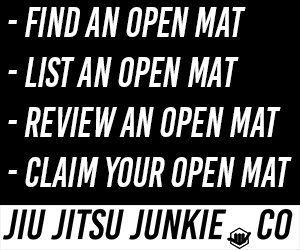 The collision avoidance kind is for when you are going at it hard in training and need protection from active strikes and blows against your knees, like when someone shoots for a double leg and won’t stop until you’re flat on the mat. These knee pads are the kind that can really stop you from getting a bad knee injury. Like the Bodyprox model, these are still quite slim and low-profile, not bulky like the kind of knee pads you wore as a child when learning to ride a bike for example. Most knee pads come in few sizes. Some are one-size-fits-all and many come in limited sizes such as small/medium and large/x-large or something similar. Sometimes this works and the pad is able to accommodate the knees of a wide variety of sizes and sometimes it doesn’t. Cliff Keen have gotten around this issue but just simply offering this great product in plenty of different sizes to suit people of all shapes and sizes. Their site even includes a handy size guide so you can find a knee pad that fits you perfectly that will not only be more comfortable and enjoyable to wear but also actively improve your safety. The anatomical wrap-around padding provides you high-impact absorption and lateral support, to keep every part of your knee safe and secure. McDavid knows that with the knee, there are tons of different things that can go wrong. With so many vital ligaments surrounding the knee, there are a hundred different ways you can be injured and therefore will need a different type of knee pad to both heal injuries and prevent them from occurring completely. They offer options including; a plain elastic wrap, neoprene support with closed patella and neoprene with open patella. However, if you want to take your safety one step further and do your best to make sure as much as your knee is safe and secure as possible, then you can choose the neoprene sleeve with an added gel insert that protects the cap of the knee and the surrounding areas from impact and collision. This will ensure that even direct strikes to your knee won’t be dangerous or damaging. Most typical knee pads are fine to keep your knees warm and to protect from minor collisions, but in MMA and wrestling, nothing is certain. You want a knee pad that has been designed and crafted with the sole purpose of surviving harsh combat sports without getting crippling injuries. Venum has created one such pad. This pad will keep your protected during all facets of training. Whether your boxing or grappling, this knee pad keeps every part of your knee secure. No part of the knee is left open or uncovered. The material is thick and sturdy yet remains comfortable and does not restrict your movement when kicking, grappling, etc. To prevent a build-up of sweat, which can be very uncomfortable, Venum has included air-vent holes for breathability. These can be a lifesaver when in the middle of a hard training session. Did you know that in MMA training, people are more likely to get their teeth knocked out through grappling rather than from striking? This isn’t necessarily because grappling is more dangerous, but most people don’t bother wearing a gum shield when grappling. You rarely ever see anyone dumb enough to do full contact boxing sparring without a gum shield in. People know to protect themselves from strikes; they wear mouth guards, hand wraps, boxing gloves, shin guards, etc. But barely anyone takes the same precaution with grappling. 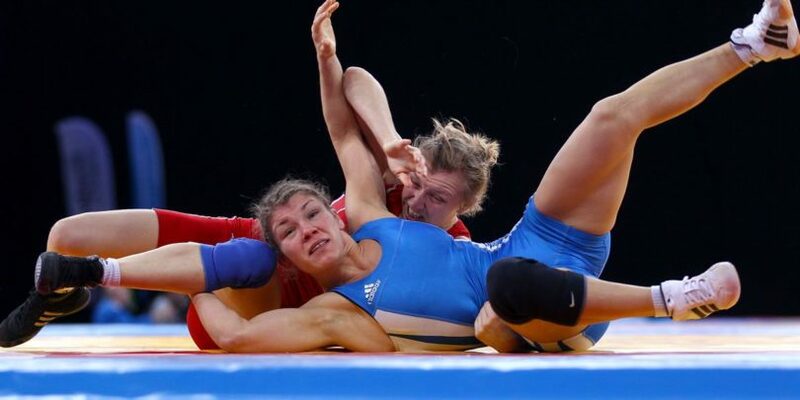 If wrestling is the most common way to get an injury, one of the most common yet serious injuries that people sustain in training is knee injuries. Knee injuries are extremely common yet they can be catastrophic. They can be career ending. They can be crippling. A lot of the time knee issues can be avoided just by wearing knee supports/pads. A good set of knee pads can help to keep the knee secure and in the proper position to prevent injury from even occurring. If your knees are already injured and you suffer through pain and discomfort, knee pads are one of the best ways to both help ease your pain and to prevent your injury from getting any worse. They can even help your knee injury to heal and recover whilst you train. Most people only buy knee pads when it’s too late and they’re already injured. You wouldn’t buy a mouthguard after your teeth have been kicked out so don’t wait until it’s too late. Get a set of knee pads now and avoid the trouble.